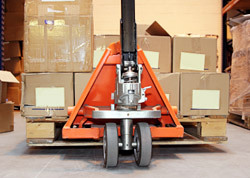 The hand pallet truck is an extremely versatile tool in the distribution industry. With no battery to charge, it is ideal for moving pallets short distances – such as in the loading of vehicles or picking of orders – and its relatively small size and cost means that it can be kept on a delivery vehicle to ease unloading in conjunction with a tail lift. When purchasing a hand pallet truck, you want to choose a device that will deliver a long working life with low maintenance needs at a reasonable cost. You don't want to be replacing the truck at regular intervals, spending large amounts on servicing or having to cope without your truck while it's being repaired. So, in fact, the purchase cost is not the most important factor to consider but, rather, the lifetime cost. You need a pallet truck that will provide a long and reliable working life without breaking the bank. 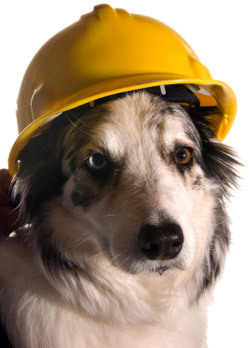 Your hand pallet truck will be a constant companion, so choose it with as much care as you'd take to choose a dog. Although – compared to other forklifts – the hand pallet truck is an unsophisticated machine, there are a number of important features you should consider when choosing one. These differences in design and construction largely account for the differences in cost – and the differences in productivity. Suit your application – there are many different pallet truck models to suit a whole range of applications. There are stainless steel versions for corrosive or hygienic environments, models specially designed for quiet operation when making deliveries at night and versions with built-in weighing scales. Make sure your loads are not going to exceed the rated capacity of your truck and choose a truck with a frame width and fork length to suit your pallet type – Euro pallets and ISO pallets have different dimensions. Consider ease of use – both in terms of ergonomics and manoeuvrability. When it comes to ergonomics, the design of the handle is very important. Make sure it is really comfortable for operators working long shifts to prevent fatigue. In terms of manoeuvrability, articulating steer wheels help with operation on uneven floors and look for a wide angle of steering to ensure excellent manoeuvrability in lorries and other confined working areas. Where higher levels of productivity are required, consider a truck with a quick-lift pump to increase efficiency. There are also models available that require considerably less manual force to get the truck rolling, which might be a sound investment in intensive applications. There are even versions featuring an electric drive motor with built-in charger to provide powered movement in either direction for almost effort-free transport. Hand pallet trucks are relatively safe machines but one factor to consider is the height of the chassis – a low-profile truck helps reduce the risk of foot injury. Another helpful feature to look out for is stamped markings on the forks that help operators to position the truck in relation to a load. Look for durability – if you want your pallet truck to be reliable in operation over a long life, durable construction and materials are key factors. In terms of construction, look out for a robust, welded tiller and welded chassis points to enhance strength. Powder coating will also give your truck a longer life. Don't forget the wheels – wheel type is an important feature that is often overlooked. Different types of wheel are available with various benefits. Nylon wheels offer low rolling resistance and low steering effort, while also protecting against wear. Polyurethane wheels ensure low running noise, along with low steering effort. Solid rubber tyres provide quiet running and optimal traction. For the load rollers in the forks, single load wheels are for universal use and ideal for Euro pallets, whereas tandem load wheels are the right choice for uneven floors and perimeter-base pallets. Additional climber wheels nearest the fork tips can make entry even easier and help reduce fork wear.. So now you've chosen your pallet truck, if you need to ship any of the loads you're moving around with it, try National Pallets. We deliver pallet loads anywhere in the UK and to nine countries in Europe. Get a pallet quote or call on 0345 260 1086* for a competitive quote. *calls charged at local rate.